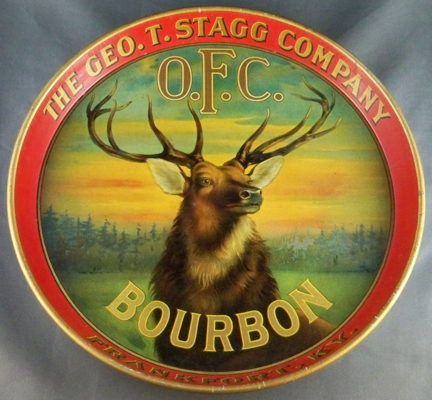 Serving Tray for Bourbon from The Geo. T. Stagg Company out of Frankfort, KY showing a large Buck in the center. The illustration of the buck and the landscape behind is stunning and this tray makes a great display piece as part of any collection.